He... Wait. Why do I always start my blog post with a "Hey?" Hey guys! (LOL) Here's another product review, which I'm so itching to share to you all. As all of you may have known, I attended the Cynos Hair Care Launch just this month and I enjoyed the event so much. 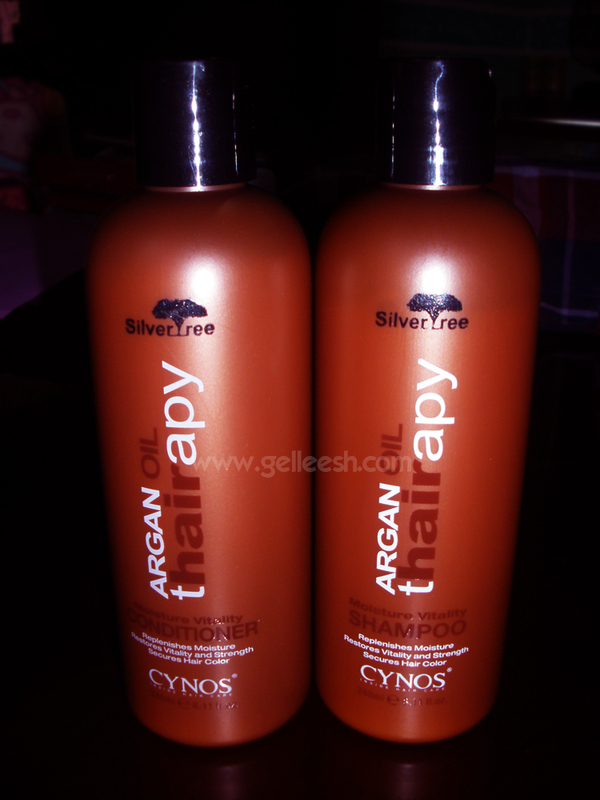 Another thing which brought a smile to my face was the Cynos products which they've included in the media loot bag and two of 'em are the Cynos Argan Oil Hair THAIRapy Shampoo and Conditioner. I'm currently using these products. What is ARGAN OIL anyway? Argan oil is found exclusively in Morocco and Algeria. This is pressed from the nut of the argan tree which is said to be traditionally harvested by women. An evident result of how good this oil is, is through the workers' hands. Even though some of them were already old, their hands still remained wrinkle-free and youthful. Magical, eh? So this oil has now been a magical beauty potion, which is acknowledged by a lot of beauty gurus. Even I couldn't resist this new beauty trend. However, Argan Oil is kind of expensive, that's why I got so giddy and excited upon seeing the Shampoo and Conditioner with Argan Oil from Cynos in my loot bag. What does Argan Oil do to your hair? It hydrates the hair and stops the curliness and roughness. It helps in hair growth and it also strengthens your hair, which probably means, reduces the possibility of having hair fall/loss. It is also very good for unmanageable hair since it restores its smoothness and makes it manageable again. This ultra moisturizing formula gently cleanses the hair without stripping color. The Vitamin E, Omega 3, and Omega 9 in Argan Oil helps restore vitality and strength of damaged hair. The Vitamin E, Omega 3, and Omega 9 in Argan Oil gently nourishes hair, helps restore vitality and strength of damaged hair. Extremely safe for color and chemically treated hair. When I first tried out these products, I was wondering why nothing is coming out of the bottle no matter how hard I squeeze it. 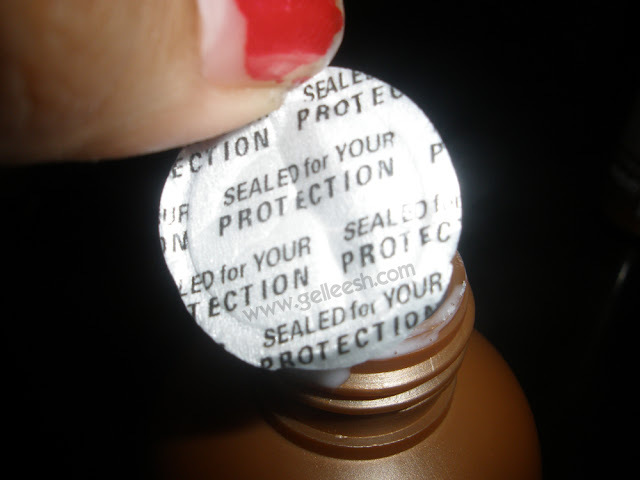 Upon twisting open the cap, I found out it was sealed. Yep, it's sealed guys so you don't have to worry about getting a tampered product. The scent is actually okay for me so I don't have any negative comment with regard to it. Now onto the effect on my hair. I love the fact that it claims to secure the color on one's hair. I mean, I am so experimental with my hair style and color so having a shampoo and conditioner which promises to moisturize and secure the color on my hair is definitely a NEED for me. 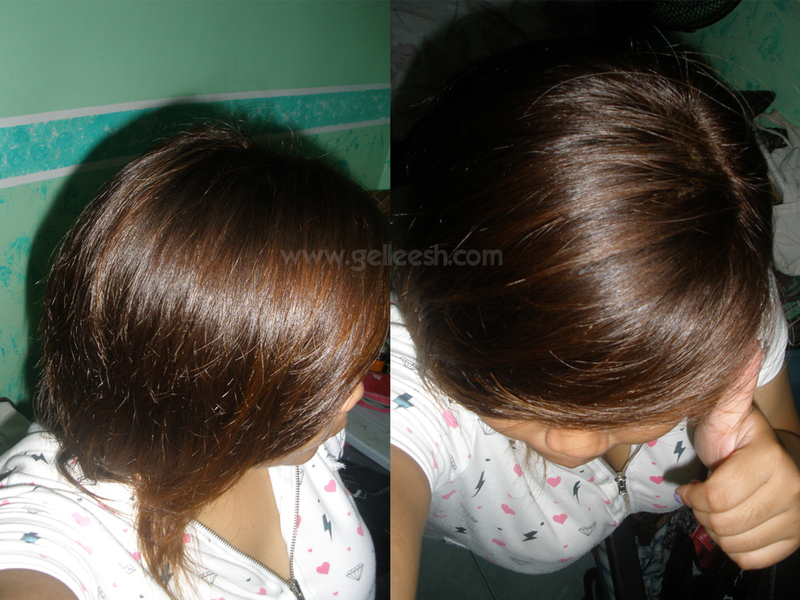 I love how my hair feels soft, silky and strong after using the products. They're definitely a good combination. Do you know the feeling of having unmanageable hair after going to the gym because of all the sweat which has gotten in your hair? Well, after having the sweat dry up on my hair, you won't notice that I went to the gym because my hair still smells great, feels so smooth, silky and shining with color. Not convinced? See the pictures! The pictures were taken upon arriving home coming from the gym. None I can think of. Umm... I can't seem to find the price online. Maybe that's a con? Haha! Oh, the scent! The scent of this product is actually okay for me; but it might bother some people because it actually kinda smells like those hair products used in salons. Well, Cynos is actually used in salons; but I know some people who doesn't like the smell so... But hey, it doesn't bother me at all. I am super in love with these products. I hope they aren't too expensive because I would love to buy 'em again. I'm giving this pair of hair wonders a whooping 10/10. It's the perfect pair for my hair since I'm super experimental with it, it needs all the care it can get from me. Thanks for these hair wonders, Cynos! Why there is no price for this product? LOL I love your haircut I haven't cut my hair that short I am scared. omgosh your hair looks SOOO shiny and smooth!! i will definitely be on the look out for this your hair looks so healthy! ganda ng hair mo gellie!!! 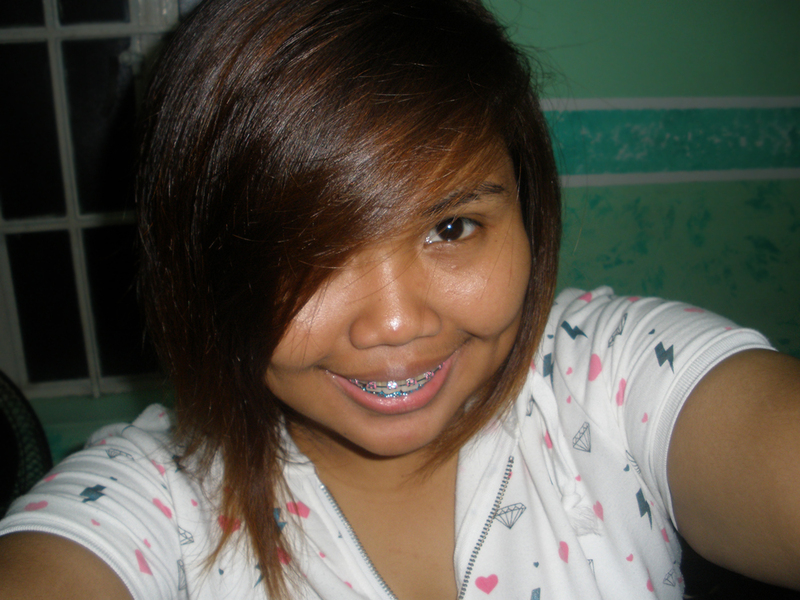 love the hair color :) and wow you rated this product a perfect 10!! hope i can get my hands on this one also.. I LOVE LOVE LOVE using argan oil for my hair it makes it SO nice! When I buy a new house, it seems to be with something more in it, after many minutes, I think about it--- discount oil paintings , my house then seems so beautiful! Your hair is so beautiful! may I ask you if you tried the shampoo and conditioner from the same series as a href="http://www.bellaarganio.com/">oil.